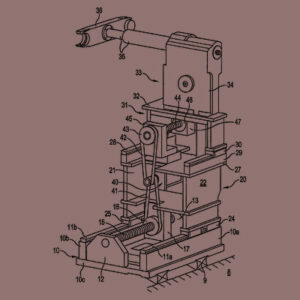 A utility patent covers the function and structure of products, systems, or processes, and improvements therefor. The disclosure for a utility patent is a complete description of all aspects of the structure and functions of the invention. The drawings are for assistance in supporting the text and enabling the reader to visualize what the words say. The disclosure for a design patent consists of the drawing figures, which must show all aspects of what is being claimed as the invention. How do utility and design patents differ? Once you differentiate between function and structure v. aesthetic appearance, significant differences are the term and maintenance of your patent. Utility – A utility patent has a term of 20 years from the filing date of the application, subject to various exceptions, and three maintenance fees are required to prevent the technology from entering the public domain prematurely. Design – A design patent has a life of 15 years from issuance and no maintenance fees are required. Think of it this way: an aesthetically pleasing shape for the housing of a computer would be subject of a design patent, while the inside functions may be the subjects of several utility patents. 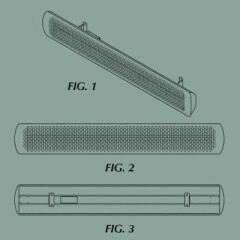 On that note, an invention may be the subject of one or more utility patents and one or more design patents. An experienced patent attorney can guide you through the necessary analysis process to determine whether or not to file either or both design and utility patent applications. Do you have more questions about fees, filing, and requirements for your invention? Call (858) 587-7659 or e-mail us today and we’ll be happy to set up a discounted consultation with you. Plus, if you’re a small business, you will receive a special Introductory Small Business Discount off of your first billing statement after the discounted consultation.